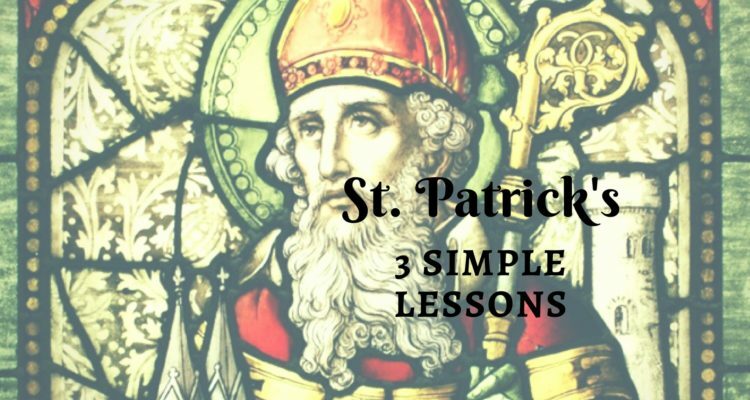 St. Patrick overcame huge obstacles and trauma in his life to listen to God’s call and act–bringing the Christian faith to a whole nation and building a heritage that long outlasted his personal efforts. When Patrick was about 16 years old in the fourth century A.D., according to the Confessio of Patrick, he was taken captive by Irish pirates from his home in Britain and enslaved in Ireland. He lived there six years as a shepherd before escaping and returning to his family. He then became a cleric and was drawn back to Ireland to preach, minister, and teach the Irish people about God and the Gospel of Jesus Christ. Patrick could have remained embittered about his captivity and the incredible toll it took on him. Instead, he overcame the difficulties of his captivity and focused in on listening to God’s call on his life. Because he was an overcomer, intently listening to God’s direction, he had an incredible impact on the cause of Christ throughout Ireland and the world. Patrick apparently had a vision that he would return to Ireland. He spent lots of time in prayer, and following this vision, he began making plans to return to Ireland. Once there, he began preaching the Gospel to mostly pagan people where he received death threats and wasn’t, well, shall we say, popular. Despite this, he was certain of the call God had placed on his life. First, he waited on God. Then, he was obedient. There’s much to say about doing God’s will. Most of us struggle with finding clarity; some of us have clarity, yet struggle to be obedient. Either way, we can take away from St. Patrick’s life that sometimes God is clear and the directive is anything but safe. The odds were stacked against St. Patrick. Druid, cultish, idol-worshiping pagan culture prevailed during this time in Ireland. Superstition, witchcraft, devaluation of women, and tyrant warlords ruled the land. Yet Patrick was not deterred by the fear of oppression or harm, he travailed on to serve the Lord. In our Western ideology, we highly value comfort and safety. Patrick had already lived through extreme discomfort and lack of safety during his enslavement thus he was undaunted by the challenges that lay before him through his mission in Ireland. We could learn much from his resolve not to give up, and not to fear. Follow this link for this printable. This is WONDERFUL. Much good here to carry through the day. Especially love this part: Christ be with me, Christ within me, Christ behind me, Christ before me, Christ beside me, Christ to win me, Christ to comfort and restore me. Christ beneath me, Christ above me, Christ in quiet, Christ in danger, Christ in hearts of all that love me, Christ in mouth of friend and stranger.